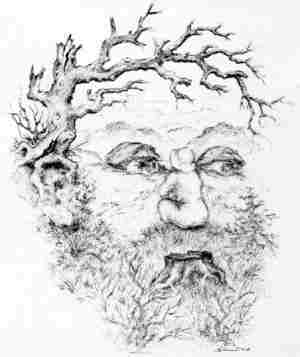 Face Illusions are ambiguous images which exploit similarities between two or more distinct images. They are also known as reversal images, puzzle images and perceptual rivalry. 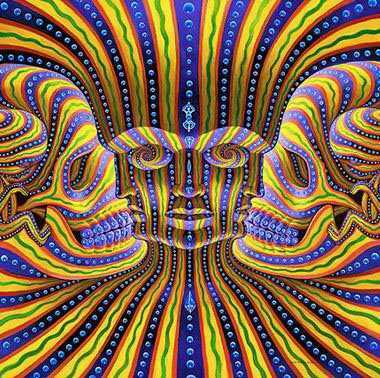 You may enlarge each illusion by clicking on it. There you might see more details. And if you step back a bit you might see other things hidden in the image. This is definitely one of the most amazing optical illusions of all times! 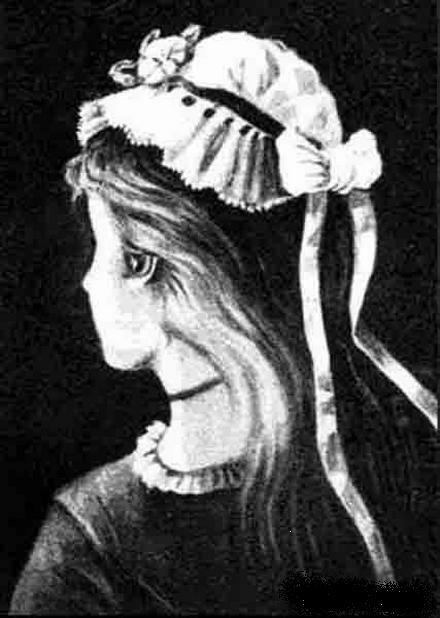 What do you see at first glance - an old lady or a young lady? They are both there! Mouth of the old woman is necklace of young woman and nose of the old lady is chin of the young lady. 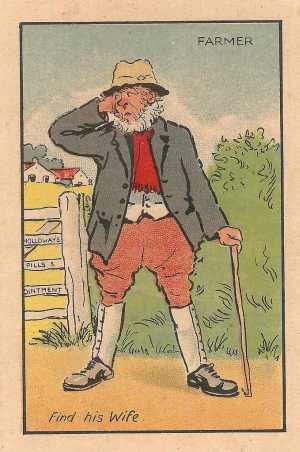 Similar theme was used on a German postcard from 19th century. 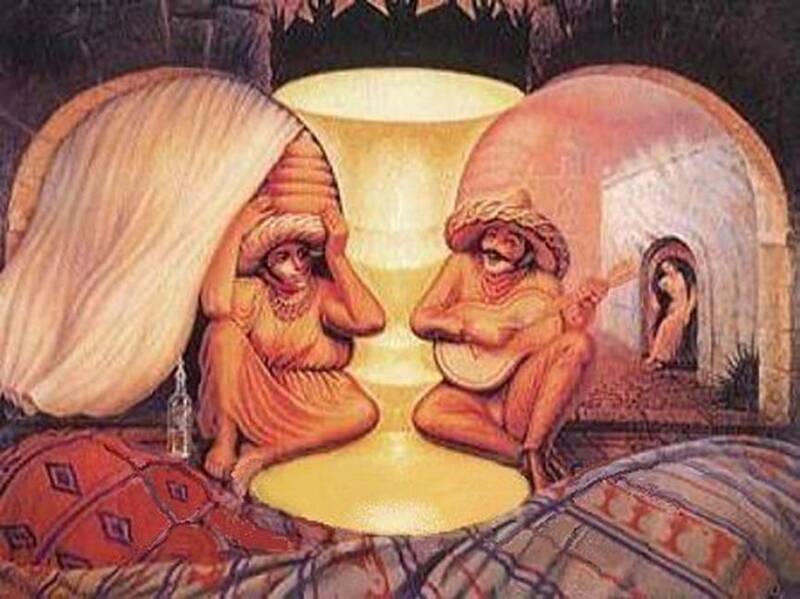 A similar example of ambiguous visual illusions - father and son. Whole family mind teaser - father with mother and daughter (by G. H. Fischer). A landscape and the face of a bearded man by Sandro Del Prete. Nose in the center is also a man sitting and looking at the houses/eyes in the back. Profile of Salvador Dali and a strange woman. Head of the female figure is also eye on the big face. 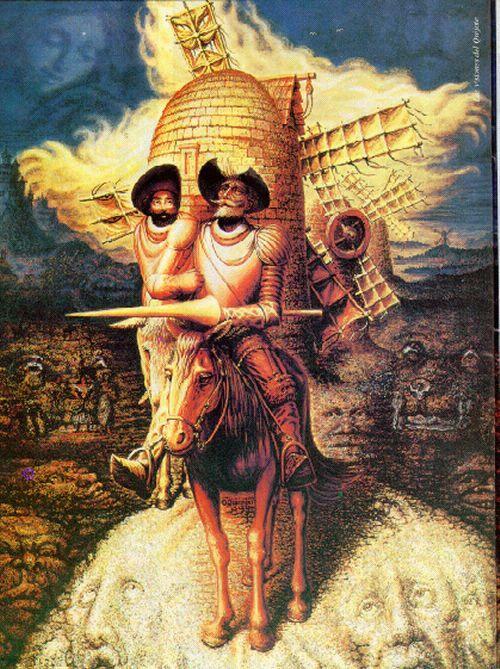 How many faces can you count on this Don Quijote painting by Octavio Ocampo? You probably recognize the face in this painting (it is St. George), but if you look at his hair, you'll see that he is fighting a fire-breathing dragon. 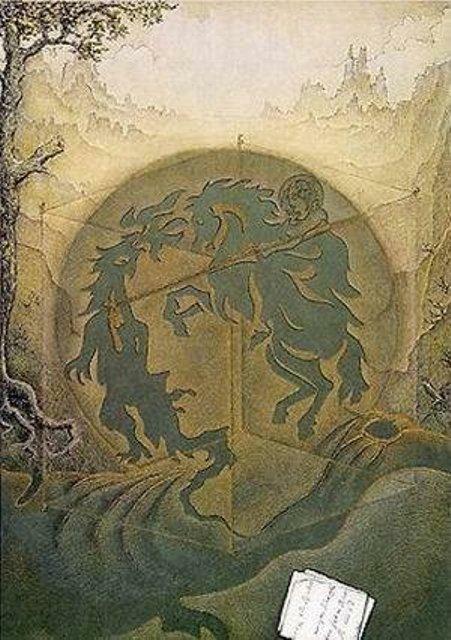 It's called "St. George the Dragon Slayer" (by Sandro Del-Prete). 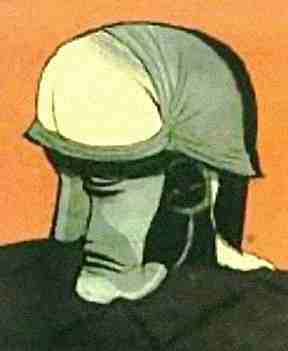 See the face of a soldier and a man that is bending over on the below eye illusion. 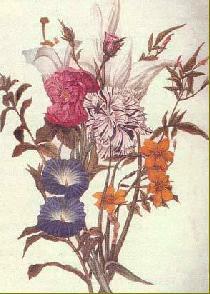 Are there really just flowers? Of course, not. 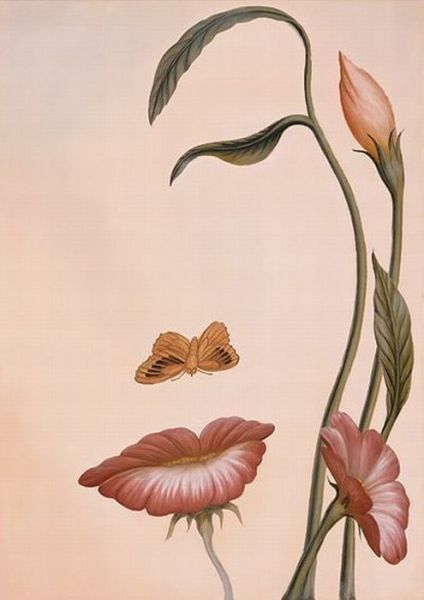 There are many face silhouettes created by the flower contours. Another variation - however, here are not many faces but only a big one is hidden here. The yellow butterfly is the nose. This one is so famous. 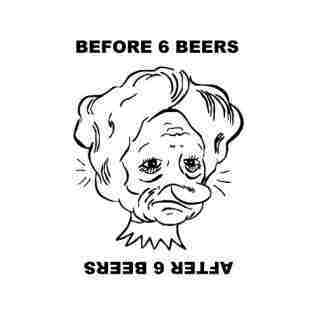 Turn the picture upside down to see how men see women after 6 beers. Help this farmer find his wife. Hint: focus on his left leg and turn the picture upside down. 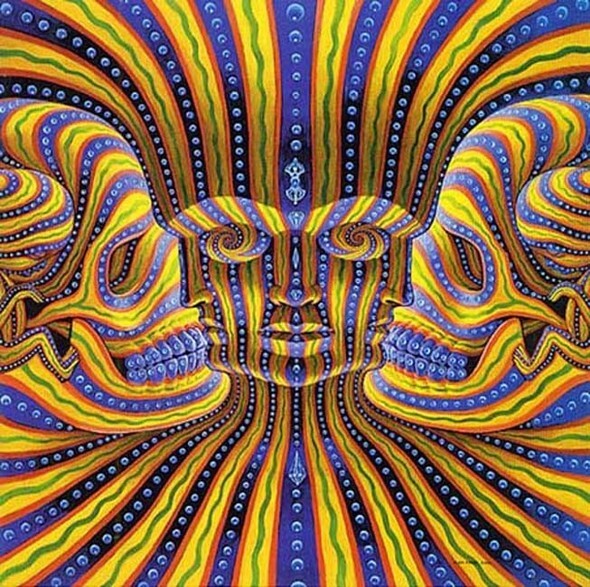 Can you find all 7 faces on this scary picture? 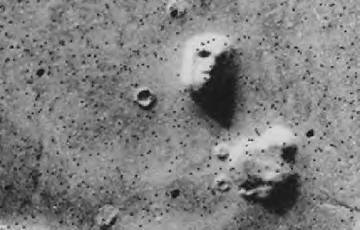 A mysterious face found on Mars. This is a real photo of the surface of Mars taken by Viking 1 in 1976. 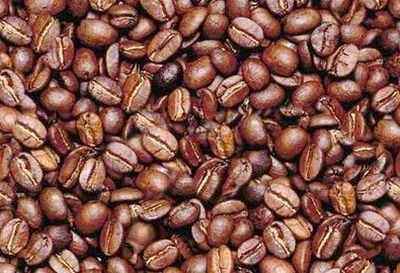 Can you identify a face in this coffee beans pile? Take your time, it is there. Focus on the bottom of the picture.